An offshore gas platform attracts fish, such as chubs (pictured here), jacks, and sharks. 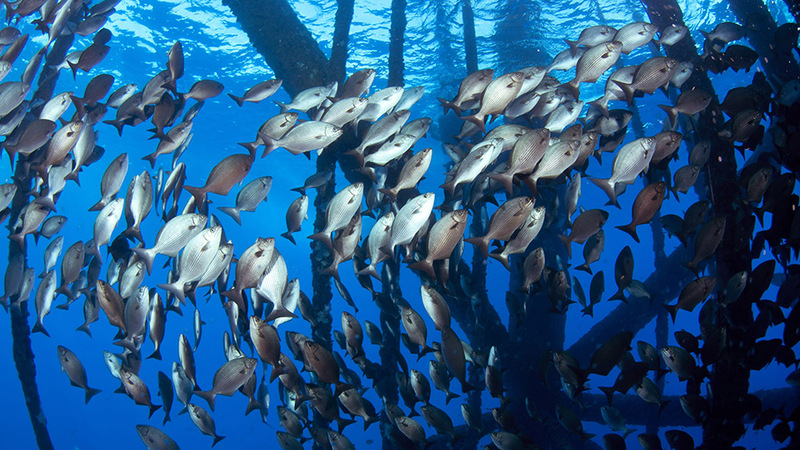 Oil rig workers and saltwater anglers have long observed that off-shore gas and oil platforms act as artificial reefs, attracting and enhancing fish populations. After considerable discussion and input from the public, a gas production platform within Flower Garden Banks National Marine Sanctuary (FGBNMS), known as “High Island A-389-A,” is now decommissioned and part of the Texas Artificial Reef Program. The platform, originally installed in 1981 by Mobil, reached the end of its production life and was slated for full removal, as required in the lease agreement. Through negotiations among the sanctuary, Texas Parks and Wildlife Department, the Bureau of Safety and Environmental Enforcement, and W&T Offshore Inc., the upper portion of the structure was removed, down to approximately 70 feet below the waterline. The majority of the platform (down to 410 feet at the mudline) will be left in place for divers and anglers to continue enjoying for years to come. In response to the significant amount of marine debris left in the wake of Hurricane Irma, Florida Keys National Marine Sanctuary (FKNMS), the National Marine Sanctuary Foundation, the NOAA Marine Debris Program, and others are engaging local businesses to identify and remove lobster traps, fishing gear, construction materials, and other items that pose significant pollution and navigation threats. 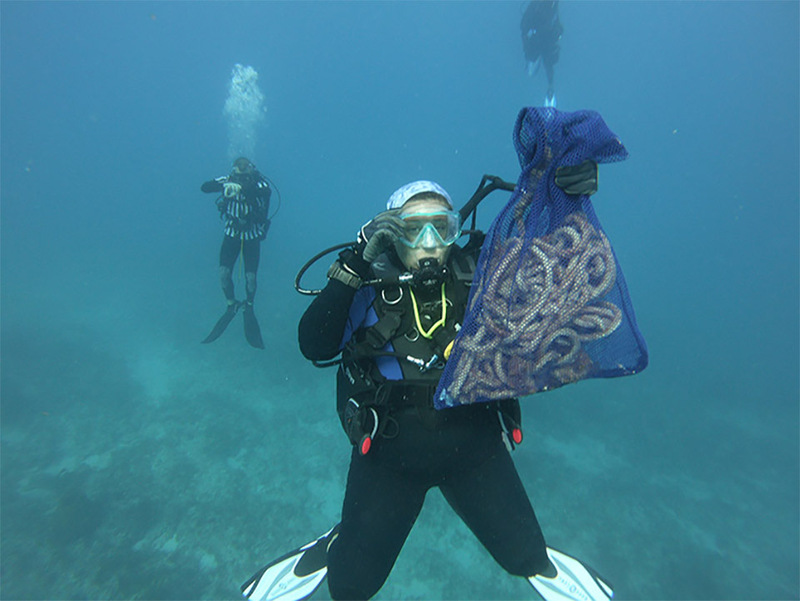 The effort, known as “Goal Clean Seas Florida Keys,” enlists Blue Star dive operators in locating and removing underwater marine debris. Lost or abandoned fishing gear and other debris entangles and harms corals, sea fans, sponges, sea turtles, manatees, and other marine life. It also degrades seagrass, hard bottom habitats, coral reefs, and mangrove habitats, and detracts from the natural beauty of the Florida Keys. Almost a year after Hurricane Irma, Blue Star Dive operators have removed nearly 3,000 pounds of marine debris and more than 2,800 feet of line from the FKNMS. National marine sanctuaries play an important role in protecting critical marine natural and cultural resources, but they are also great places to get in touch with nature through recreation, offering a wide range of activities for personal enjoyment, enrichment, and education. The Make the Most of the Coast website identifies resources to help the public learn about safe and sustainable ways to enjoy the ocean and coasts in marine protected areas, including national marine sanctuaries. In this same spirit, Greater Farallones National Marine Sanctuary created a web-based guide to highlight interesting places to explore, encourage visitors to “get into their sanctuary,” and expand public awareness of travel and tourism opportunities in the sanctuary. 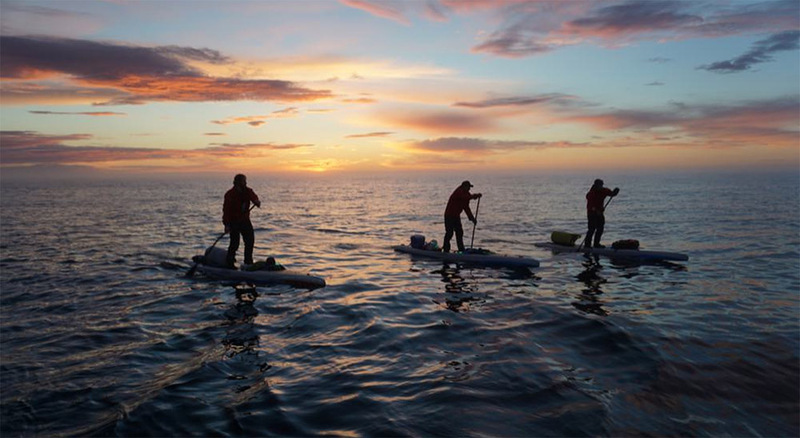 Stand-up paddleboarders enjoy a sunset at Thunder Bay National Marine Sanctuary. 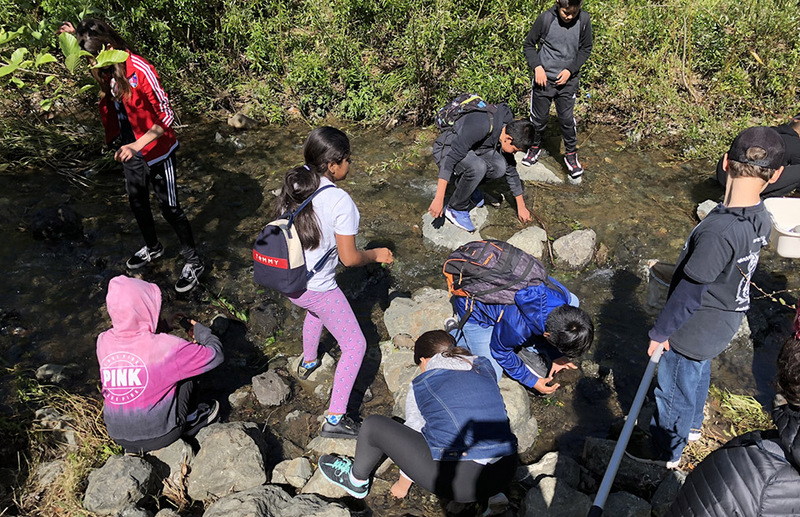 The NOAA Ocean Guardian School Program connects with schools across the U.S. to provide funding to protect and conserve local watersheds, the ocean, and special ocean areas, like NOAA’s national marine sanctuaries. Since 2009, the program has worked with schools in California, Oregon, Washington, Maryland, and Texas, reaching over 7,000 students a year. In 2018, the program expanded into Alaska, North Carolina, and Florida to recruit an additional 2,000 students. The program has facilitated student clean-ups and creek restoration, resulting in: the removal of 10,945 pounds of trash; 69,435 plastic bottles kept out of landfills; 73,834 square feet of non-native invasive plants cleared; 13,925 gallons of water reclaimed; and 1,356 reusable bags distributed to students to replace single-use plastic bags. Ocean Guardian School Program, Melrose Academy, in Oakland, California. The National Marine Protected Areas (MPA) Center, in collaboration with the Coral Reef Conservation Program, the U.S. Agency for International Development, and other partners, trained over 200 MPA professionals in six countries in Fiscal Year 2018. Continuing the International Marine Protected Area Capacity Building Team training program, NOAA provided targeted instruction designed to address priority needs of marine and coastal management programs in Indonesia, the Philippines, Malaysia, Kiribati, Korea, and Senegal. The training is coupled with other tools — including mentoring, small grants, and online training — to support the advancement of marine management. 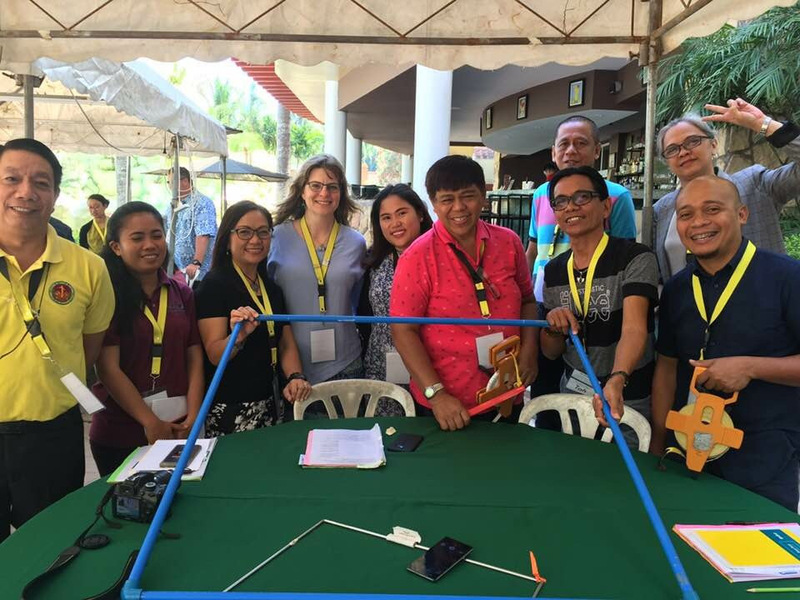 ONMS Deputy Superintendent of Florida Keys National Marine Sanctuary Lisa Symons (center) trains MPA managers in the Philippines on techniques for damage assessment.